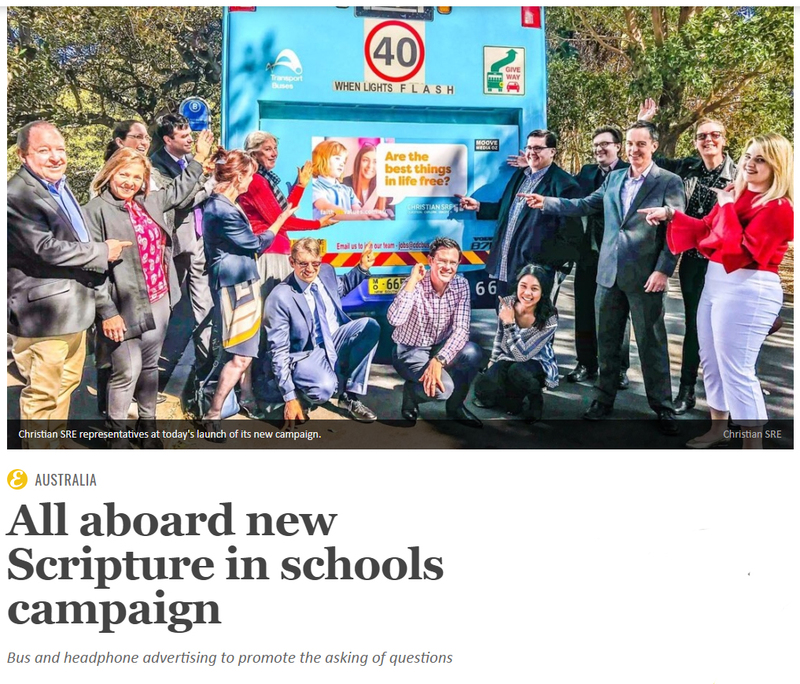 ChristianSRE (read Inter-Church Commission on Religious Education in Schools – ICCOREIS) has recently commenced a saturation-marketing campaign seemingly targeting all NSW public school students, particularly those students enrolling in Kindergarten or Year 7 in 2019, with their grand claims that Special Religious Education (SRE – aka ‘scripture’) offers students an education in ‘values’. 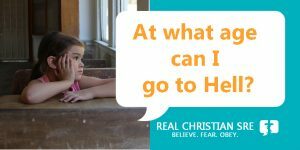 In order to assist ChristianSRE / ICCOREIS provide parents with information, FIRIS, under the banner ‘Real Christian SRE | Believe. Fear. Obey.’ has started revealing the actual content of SRE lessons authorised by scripture providers for use in NSW public schools. 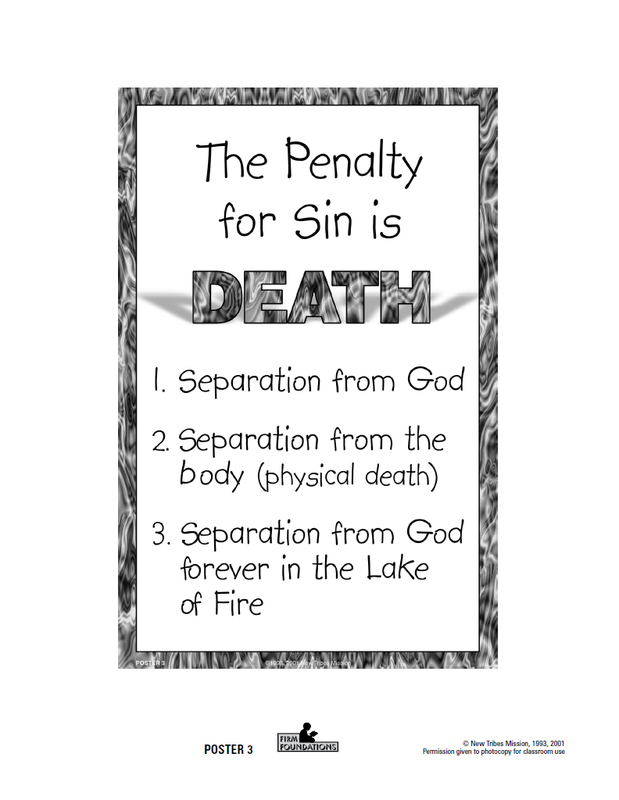 To counter the ‘we-teach-good-values’ marketing-spin of ChristianSRE, FIRIS’ Real Christian SRE campaign has discovered, and made public, evidence that what children as soon as they reach reading age may be exposed to messages that they are born sinners, that sin must be paid for in full, that the penalty for sin is death and ‘separation from God forever in the Lake of Fire, and that they belong to Satan and Hell unless they declare their faith in Jesus Christ. 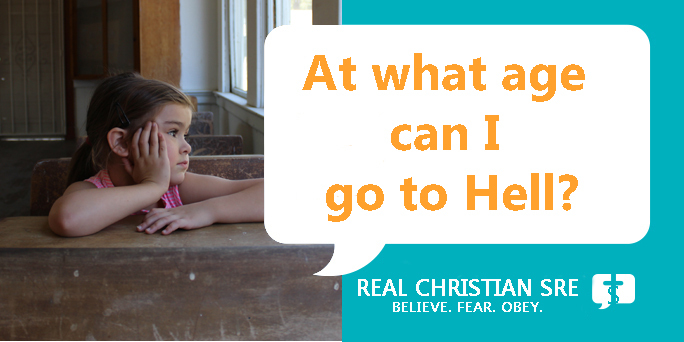 Now, ChristianSRE / ICCOREIS would like parents and caregivers to believe that such messages will only be found being promoted by ‘rogue’ churches or ‘rogue’ SRE instructors. As part of her testimony to the General Purpose Standing Committee No. 2 regarding the Education Amendment (Ethics Classes Repeal) Bill 2011 on Monday 27 February 2012, Dr Ann Maree Whenman, the then chairperson of ICCOREIS, responded to a question regarding the practice of threatening children and creating an atmosphere of fear within SRE classes by stating that ICCOREIS would not condone that style of teaching. In response to these comments, a letter was sent to ICCOREIS in December 2013 asking Dr Whenman to comment on the following Youtube video found here. This clip published by FIRIS in April 2013 is a compilation of video material published by Mr Graham McDonald, or ‘Mr Mac’, an elected advisor to ICCOREIS, on the Children of the World website. 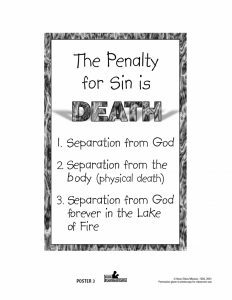 young children should be taught an age-appropriate concept of sin, for example, a child who does not put his or her shoes away when told by a parent is committing a sin. seven-year-old children, and maybe even younger, have reached the ‘age of accountability’ and therefore may go to Hell. the Church has ignored what the Bible says when it comes to discplining children (Spare the rod and spoil the child) and there needs to be some form of physical hitting of the child. divorced parents are not following God’s plan for men and women (Mr Mac then describes the distress caused to a child as a result of this comment and how he acted as an unqualified counsellor). that in such cases when ‘ministering (read ‘counselling’) children is required, the curriculum can be ignored. there is only one God and all other gods are ‘figments of people’s imaginations’. 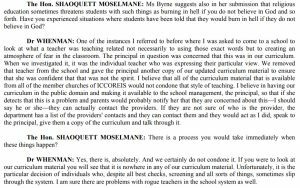 Dr Whenman was asked to confirm or deny whether Mr Mac’s statements and actions, if made by a scripture teacher of an ICCOREIS scripture provider, would be condoned by ICCOREIS or whether they would be treated as the statements and actions of a ‘rogue teacher’? She was then asked, if ICCOREIS did not condone these statements, if she could provide information regarding the extent of Mr McDonald’s influence on ICCOREIS and explain why he was accepted as an advisor to the organisation. Furthermore. 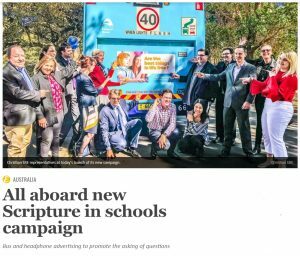 she was also asked to explain how parents would be able to determine whether such messages were being passed on to NSW school children through the curriculum material or teaching practice of an ICCOREIS affiliated scripture provider? Neither Dr Whenman nor any other representative of ICCOREIS provided any answers to these questions or replied in any way to the correspondence. In October 2014 the correspondence was resent to the then Chairperson, Mr Neville Cox. 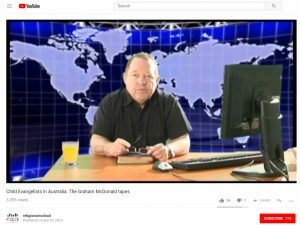 Does ICCOREIS approve of Mr McDonald’s comments in the Youtube clip mentioned above? 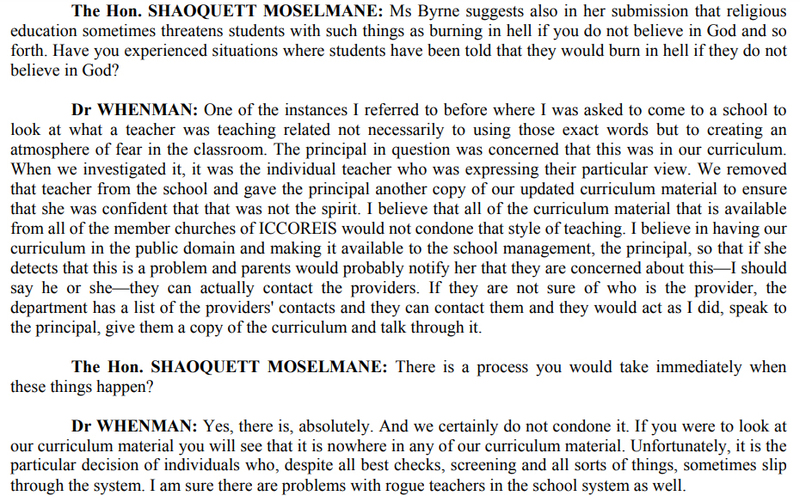 Given that the Youtube clip comprises clips from Mr McDonald’s materials for religious instruction teachers, would the statements and actions mentioned by Mr McDonald be condoned by ICCOREIS if made by an SRE teacher of an ICCOREIS affiliated SRE provider or would they, in the words of Dr Whenman, be treated as the statements and actions of a “rogue teacher”? 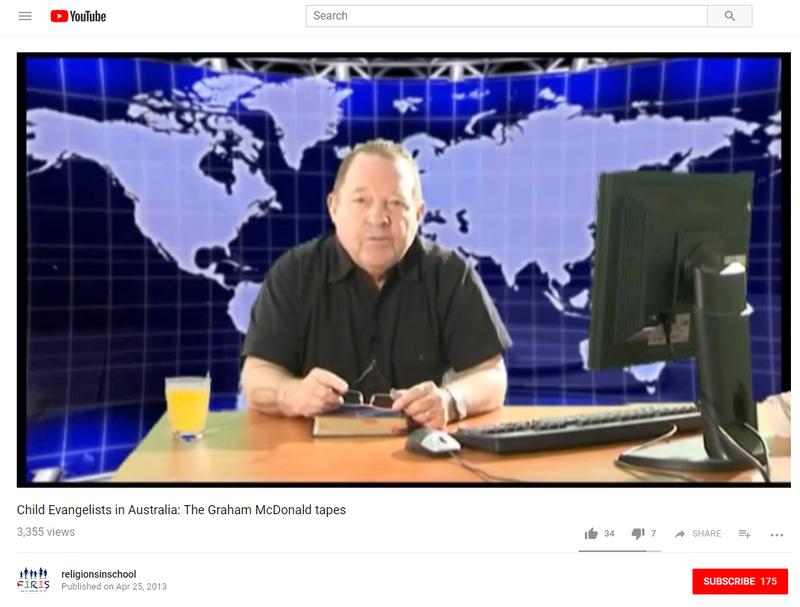 If ICCOREIS disapproves of anything that Mr McDonald claims in the video, please provide two or three examples and describe the steps you have taken to ensure that no scripture teacher makes these claims in future. What is the nature of Mr Graham McDonald’s current relationship to ICCOREIS? 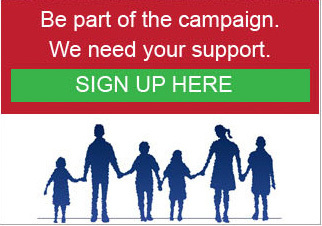 What is the significance of the removal of the above-mentioned material from the Children of the World website and the removal of references to elected advisors on the ICCOREIS website? Once again, neither Mr Cox nor any representative of ICCOREIS provided any answers to these questions or replied in any way to the correspondence. Now you might be wondering what the point is in bringing up all of this old material. When asked, neither ChristianSRE nor Eternity News were willing to confirm or deny that the man above is Mr Mac. Nonetheless, FIRIS believes that the man in the photo above is Mr Mac. We will leave it up to the reader to draw his or her own conclusion. If it is Mr Mac, in consideration of his statements, his declared actions while engaging in children’s ministry and his advisory role to ICCOREIS / ChristianSRE, a reasonable parent or caregiver of a NSW public school student has very good reason to doubt and question all claims made by ICCOREIS / ChristianSRE regarding the content of the scripture classes and the conduct of scripture instructors offered by those scripture providers represented by ICCOREIS and ChristianSRE. Reasonable parents and caregivers would be justified in concluding that if ICCOREIS / ChristianSRE condone the views and actions of Mr Mac to the point that he was (and remains) an elected advisor, God only knows what they condone when it comes to the 10,500 Christian scripture instructors. Parents and caregivers should not have faith in the marketing-spin of ChristianSRE but put their words into action and Question. Explore. Discover. what their children are being exposed to in Real Christian SRE.